Get rid of your winter blues and brighten up your world! The UWSP Department of Theatre and Dance is hosting its annual Arts Bash, an over-the-top evening of visual art, design, dance and theatre. Want to know more? Read ahead for everything you need to know before you attend! 1. Bang for your buck! With this ticketed event you are getting a lot more than a night out! Arts Bash includes a student/community art sale, raffle, student performances, a cash bar, wearable art runway show, and complimentary hors d&apos;oeuvres, desserts, wine, and beer. Arts Bash proceeds support students in the Departments of Art and Design & Theatre and Dance by going to Student Scholarships and a long-term Scholarship Endowment Fund, allowing more events like this to happen in the future! This beloved annual event in the Stevens Point Area is celebrating its 16th year! This year also marks UWSP&apos;s 125-year anniversary, making yet another reason to celebrate (as if we needed one). 4. Dance the night away. After the many events for the night have completed, the fun isn&apos;t over! Head to the dance floor to end your night with a dance party, open to everyone. 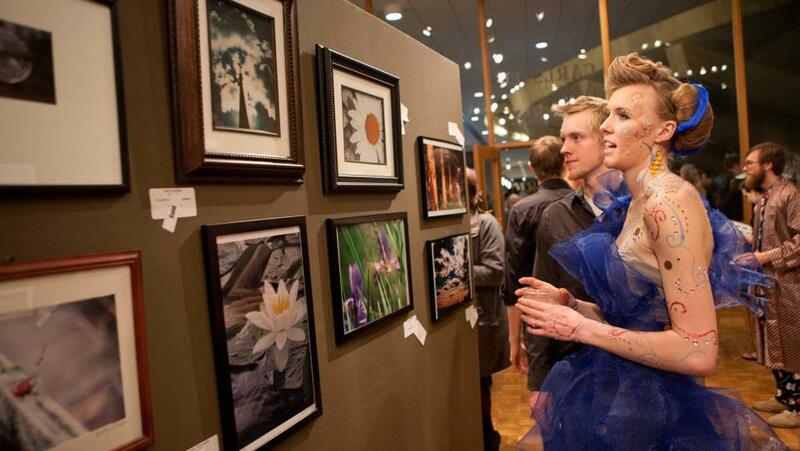 Arts Bash encourages visitors to wear expressive attire. Get creative and craft your own art-rageous outfit, or if you are more subtle, enjoy the Wearable ArtsBash Fashion Show during the 2019 Runway Show that evening. 6. Find yourself wanting more? Then have no fear! There is a preview party the day before at the Edna Carlsten Art Gallery where you can purchase community and student artwork, bid on a special basket, tour Jenkins backstage, enjoy live music, meet emcee Justun Hart, and more! Ready to celebrate this great event? Get your tickets here! Want more? Head here to explore other fun events in the Stevens Point Area.